We saw a slightly cooler start to the season and the vineyards were slow to come out of their slumber but as it warmed up it allowed them to flourish and confirm our thoughts in producing great balance and a high standard in quality of fruit. The season was perfect for sparkling with nice temperate days throughout the growing season and lower than expect rainfall allowing an even ripening in the vineyard at both our Tea Tree and Lebrina vineyards. 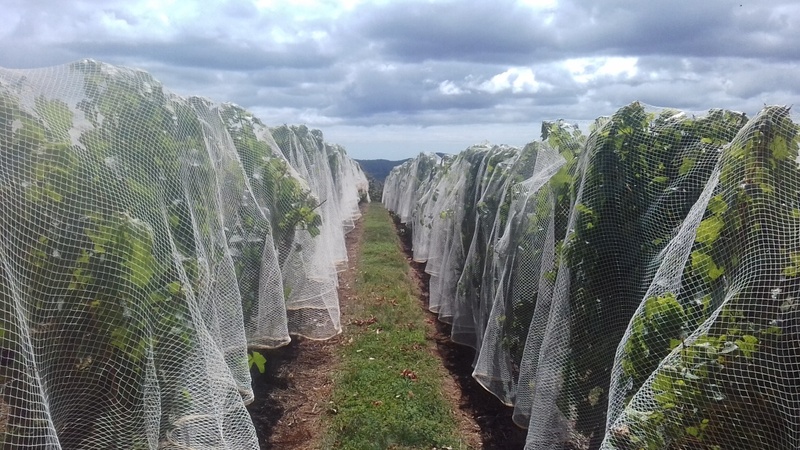 With no sign of disease, but some signs of bird damage, we were able to leave the fruit on the vines to allow for a decrease in acidity and rise in fruit flavour. This meant that picking was then pressured by a combination of high potential alcohol but also of looming wetter conditions on long range forecasts. Picking commenced on the 6th of March at Tea Tree (Chardonnay for Sparkling) with harvesting starting at Lebrina on the 13th of March (D1 Chardonnay). Tonnages were widely up across the board with only a couple of our more difficult blocks surpassing their expected yields. Overall it was a very good harvest from both the vineyards with great vibrancy and complexity in the fruit not to mention the quality. Total harvest was 298 tonnes of fruit processed at the Clover Hill winery – 160 tonne from Lebrina & 138 tonne from Tea Tree which is almost took us to capacity in the winery. Good extraction was attained from the presses with the juice carrying high levels of natural acidity. Sugar ripeness was also very evident in the juice, but we were able to get the fruit in at the perfect sugar acid balance. The high-quality standard of fruit this year has produced some exceptional sparkling base wines, driven by natural acidity, elegance and texture. The Chardonnays are strongly showing the house style of lemon pith and citrus. ‘Block A’ Chardonnay is unique and as is tradition, showing more minerality which will be an excellent component for the Blanc de Blancs. 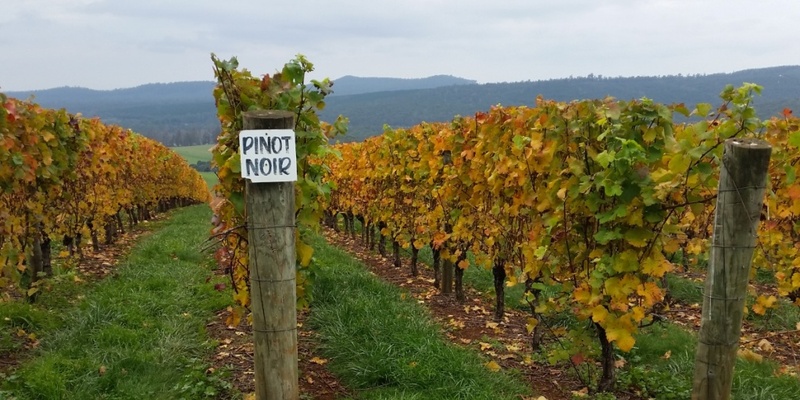 The Pinot Noir, while carrying a lot of colour, has sweet berry flavours and more mild strawberry acidity. With such bright natural acidity, a majority of our base wines underwent malolactic fermentation to create a softer and more complex wine. All in all we are very excited about the potential in this year’s vintage and can’t wait for everyone to see the fruits of our labours. All be it after the wines have gone through secondary fermentation, aged for 2-5 years and been disgorged in method traditionelle technique. The sparkling game is one that is reliant on patience and trust in our methodology which is proven with our quality.